The Creative Bar, a leading Southern California design, marketing and branding firm, was honored to accept five Inland Empire ADDY Awards, including two Silver, two Gold and the Special Judges Award for their work with Temecula Valley Chamber of Commerce, Intense Cycles and Regalo Perfetto. 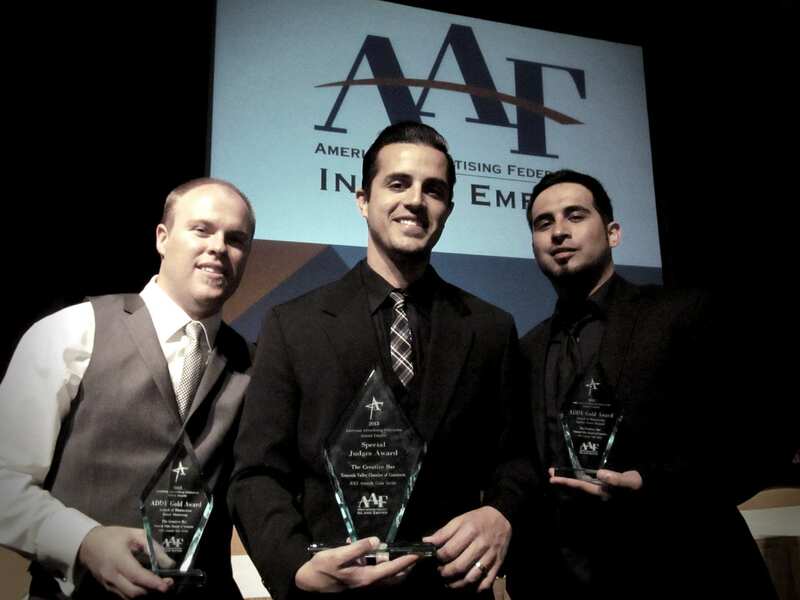 The ADDY Awards were revealed at the Historic Mission Inn in Riverside, California on March 15, 2013. 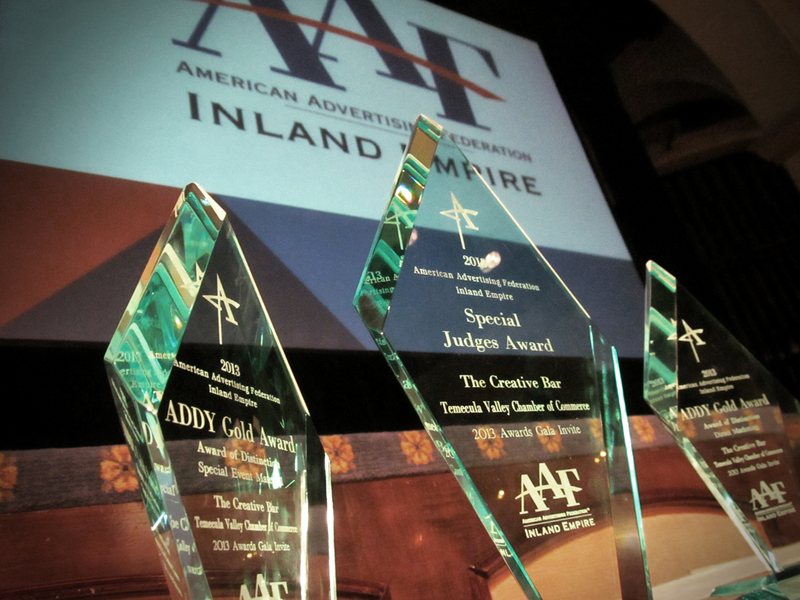 With over a hundred categories covering all aspects of advertising, the AAF-Inland Empire ADDYs are the first step in the advertising industry’s largest and most representative competition, attracting over 50,000 entries every year in local ADDY competitions. Concurrently, all across the country, local entrants vie for recognition as the very best in their markets. At the second tier, local winners compete against other winners in one of fourteen District competitions. District winners are then forwarded to the third tier, the national ADDY Awards competition. The Creative Bar is a full-service design, marketing and branding firm specializing in company branding, marketing, print and web design, and public relations, located in Southern California. With a team on the forefront of cutting edge design & marketing, The Creative Bar clients are served with a robust blend of quality services and unmatched talent with proven results. Their drive for excellence has earned them industry awards from peers, and recommendations from clients, resulting in their sixth (6) National Design and Advertising Award in 2013 and thirteen (13) awards in 2012. Some of The Creative Bar’s notable clients include: The Temecula Valley Chamber of Commerce, City of Temecula, Southwest County Boys and Girls Club, Intense Cycles, Promenade Temecula, Cal Baptist University, Cinema Audio Society, Hollywood Post Alliance, and The Latino Coalition.